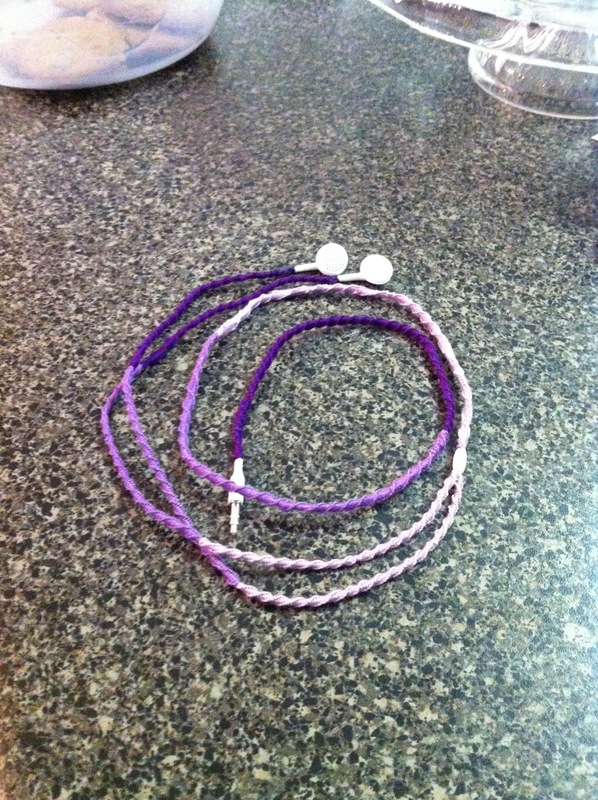 Who remembers those super awesome friendship bracelets that were big back in the 90’s? My friends and I used to make them all the time during the summer and I had quite a collection. And I used to be pretty fast at doing them too. So when I saw this pin on Pinterest, I thought it would be fun to try! 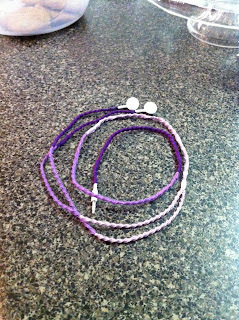 Chris and I travel a lot and I always hate how my headphones get tangled. It takes me a least five minutes to unravel the chords which can get frustrating and annoying. So I was excited to go to Michael’s and buy the materials to get started on this project! If you want to see step by step instructions on how to do this, visit this blog. For now, I’ll leave you with the photos from my own project and a few words of wisdom. -This takes forever! Especially when you’re out of practice. Only do it for a little bit at a time( I did it in 30 minute intervals) because your hands and back will start to cramp up! –I decided to do my own interpretation of ombre. I used three different colors but you can buy floss that fades in color as it goes on. -Use lots of tape to hold everything in place! Here are all my supplies (minus the superglue)! 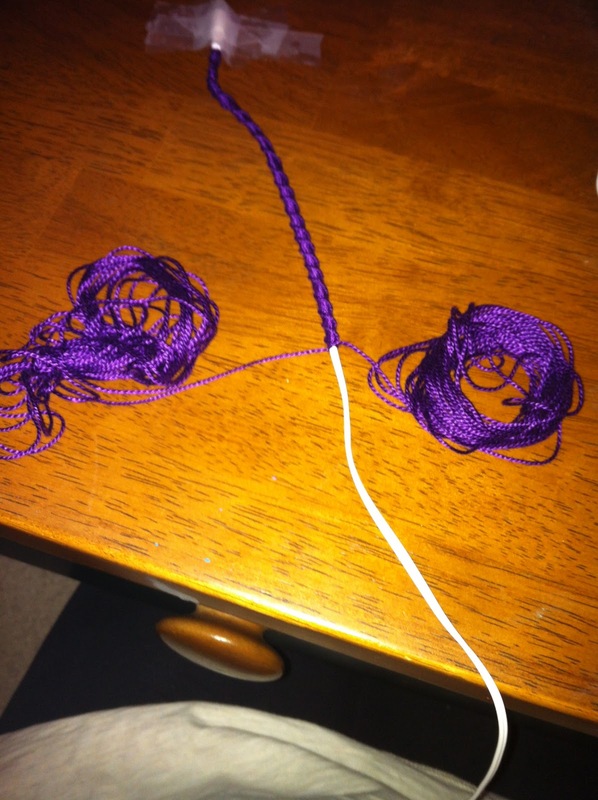 It’s much easier to roll the floss so it won’t tangle while you’re knotting it over the earbuds.